The pros and cons of operating in this industry and whether you'll be able to succeed. Alcohol consumption might be falling, but the rise of craft beer and casual dining – along with the provision of accommodation – mean the pub sector is still holding its own. Find out how publicans are using digital technology to optimise this most analogue of leisure environments, the pros and cons of operating in this industry and whether you have the skills, experience and personality needed to succeed. The year 2016 was the pub sector’s most successful since 2006. But while revenue is on track to continue growing, it’s an incredibly competitive arena, due in no small part, to the shift in focus from beer to food. Competing with casual-dining restaurants too, pubs are under pressure to raise their culinary game, whether through quality, value or providing a compelling ‘story’ – ie effective marketing – behind the food. But if customers have become more gastronomically sophisticated, they are no less discerning when it comes to beer. Although alcohol consumption overall is down, the loss of hard-drinking dollars is compensated for by the popularity of craft beers – often locally brewed – with a higher price point. While the pub aesthetic and experience is fundamentally the same as it was decades ago – drinking, chatting, laughter and music fuelled by a range of beer taps – publicans are increasingly empowered to optimise their offering by digital technology. Point-of-sale (POS) technology gives owners almost real-time data on their customers’ preferences, allowing them to modify their menu quickly to capitalise on trends. Contactless card payments, meanwhile, mean staff can serve customers faster than ever. There is also a multitude of promotional apps – like Clipp, Beerpal and The Happiest Hour – through which they can entice customers with special offers. If a pub’s very raison d’être is to provide the optimally sociable environment, it’s perhaps no surprise that the sector should so often engage successfully with customers through digital platforms with the same aim. Facebook, Twitter and Instagram have been particularly fruitful tools for publicans with a bit of marketing nous. That said, they’re also punished more brutally than their pre-internet forebears – through bad reviews on the likes of TripAdvisor – for substandard food, beer or service. Historically, Australian pubs have regularly provided accommodation. Indeed, licences were once often contingent on it. Today that culture persists with many publicans valuing an additional revenue stream in this hugely competitive business, while platforms like Pub Rooms make marketing the availability of accommodation relatively easy in the smartphone age. Almost unprecedented consumer demand for places to eat and drink is driving a fiercely competitive market. Let’s take a look at the pros and cons of buying a pub. 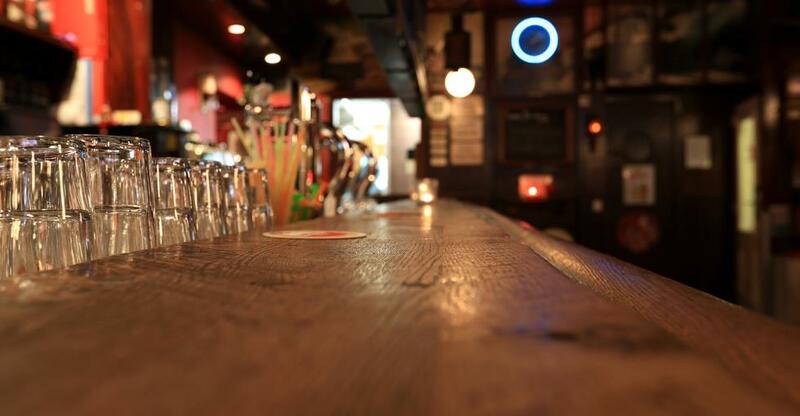 Opening a pub isn’t just about business and marketing acumen – you also need bar skills. Because most owners are hands-on; if you’re simply after a lucrative asset, there are arguably safer, less stressful investments. High staff turnover in a low wage profession makes leadership and people management skills invaluable. Working long hours on your feet, you’ll need to be physically fit. This isn’t a sector for wallflowers – being a social animal is a prerequisite. A publican who’s friendly and charming – even at the end of a long, trying shift – can be a meaningful factor in driving repeat business. If you’re drained rather than energised by social situations, this isn’t the right profession for you. The hours are long and weekends are peak time, so don’t expect a healthy work-life balance. And enjoying drinking in pubs doesn’t necessarily mean you’ll enjoy running one – indeed, if you’re a heavy drinker, then stay well away. Therefore experience of actually working in a pub – ideally as bar manager – is arguably essential. Bar experience will not only equip you for the role, but crystallise whether you’re even suited to the trade in the first place. Previous experience of running any kind of business will help, but experience behind a bar is more important. You can learn about accounting, marketing and driving a deal with suppliers through training courses, self-teaching and with the help of accountants, consultants and other experts. For the right person, the bar game can be extremely gratifying – but it has to be the right person or a stressful, ruinous few months lie ahead. Once you’re sure this is the trade for you, here’s a guide to actually buying a pub. Have you always dreamt of owning a pub? Here are the steps to get there. Tips on adding value in advance of putting your pub on the market. How can you stand out in this fiercely competitive industry?